NHL Hall of Fame goaltender who won a Stanley Cup Championship with the Detroit Red Wings in 1950. He began his career with the New York Rangers, taking the ice for the first time at 17 years old. 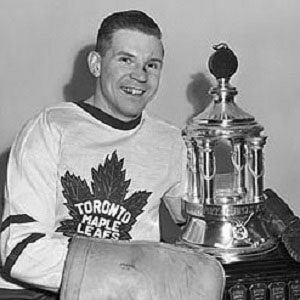 He was a three-time NHL All-Star and won the Vezina Trophy as the league's top goalkeeper in 1954. He grew up near Owen Sound in Ontario, Canada. He was traded to the Chicago Black Hawks for another future Hall of Fame goaltender, Terry Sawchuk.